After a year of pretty bleak plug-in vehicle sales in the United States, the start of the “next wave” of EV adoption has finally started. And while the new plug-in offerings are all still fairly fresh to the market, their combined efforts are already starting to push the needle higher, while replacements for the “2015 MIA editions” of the Chevrolet Volt and Nissan LEAF have now arrived. During November an estimated 10,568 plug-ins were sold, which bested the ~9,646 sold a year ago by about 10%. Of note: On an adjusted basis, sales were up 19% in November – due to 23 selling days in 2015, versus 25 in the year ago period. Perhaps unsurprisingly the charge in November is lead by the best selling Tesla Model S and the all-new 2016 Chevrolet Volt (now with 53 miles of range, from $33,995) – which is enjoying its first full month on the market. *- Tesla delivered/built no “public release” Signature Series Model X SUVs in November, but we expect to see them start to show up around the 3rd week of December. Additionally: The Toyota Mirai sold 23 copies in November, after selling 34 in its debut month. The Mirai is not included in our sales chart however as it is limited to only plug-in vehicles. Below Chart: A individual run-down of each vehicle’s monthly reult and some analysis behind the numbers. Chevrolet Volt: The arrival of the all-new 2016 Volt pushed sales almost 50% higher in November as GM sold 1,980 Volts. Previously in October, and despite only 2 weeks with 2016 inventory, GM still sold 2,035 Volts (about a 50% mix of old and new), more than double the 949 sold in September. October’s result was also the first time the Volt crossed the 2,000-mark in 2015, setting a new year high. We expect to see Volt sales only get higher through the end of the year. The 2016 edition is only available in 11 US states and Canada (although we have seen some volume in Virginia too), before production will be turned in a couple months, and a new, slightly improved 2017 edition will be introduced – with that model going into production in February. Nissan LEAF: Good news. Bad news. The good news is that the new 2016 edition LEAF with 30 kWh batteries and 107 mile ranges have indeed arrived! The bad news is that they just arrived in the last week of the month. During the month, just 1,054 LEAFS (almost all 2015s) were sold, which was a new year low for the model. In truth, you have to go back 32 months (February 2013) to find a worse result. 2016 inventories sat around ~250 units by the end of the month, so the cars are coming fast now, we expect many more cars and a lot higher sales for the LEAF entering the peak selling month of December. Separately (and ultimately more importantly) last month we got a look at Nissan’s new IDS Concept from Japan – which was basically a ‘nod and a wink’ to the new e-technology that will be found in the next generation LEAF. Cadillac ELR: Despite a better package and a lower MSRP, the updated ELR failed to find many buyers in November with just 67 sold, off 67% from a year ago. Previously in October, some new 2016 inventory ‘helped’ sales of the ELR, as 82 where sold – which was a big increase over September, as the plug-in Caddy hit a low for 2015, with just 36 ELRs sold during that month. Overall, 889 have been sold this year, which is off 25% from the 1,192 sold through September of 2014. It is our opinion that the 2016 model year ELR was born out of the desire by GM to get a little more value from the outgoing ‘gen 1’ Voltec line, and the company will produce an undisclosed amount of ELRs this summer before turning off production and discontinuing the model indefinitely. 2016 Cadillac ELR production is now underway. After reaching the highest of highs in September, the BMW i3 sunk to a low in November with just 723 cars sold – its poorest showing since June. Previously in October, the BMW i3 returned to historical norms, moving 986 i3s. Those “highest of highs in September” we mentioned? 1,710 sales – which not only set a year high, but an all-time high – crushing the 1,159 sold in October of 2014. The inventory situation looks fairly decent to end out the year with north of 2,000 on hand on average during November. As expected, heading into the hot “end of year” selling season for electric vehicles, and under some delivery pressure for Q4 and full year 2015, Tesla was building and delivering the Model S at a pace rarely seen in the past. Will they ultimately deliver enough EVs to hit the 17,000 to 19,000 sold in Q4 projection? That remains to be seen, and we will let others decide. For the United States, we estimate 3,200 Model S sedans were sold in November. Perhaps even more notably, those bulk Model S cars produced in Q3 for Scandinavian deliveries that we thought might just land by quarter’s end or early October – actually got to customer’s hands in November. The official registration amount won’t be known for a couple days, but it is going to be a huge improvement as we seen many confirmed deliveries throughout the month. Through, September 30th, Tesla reported worldwide sales of 33,180 EVs (33,174 of which were the Model S). With all the fanfare one would expect from Tesla Motors and its CEO Elon Musk, the much anticipated/oft delayed Model X arrived in September, with a big launch party – of which you can check out the full video of (as well as newly released details/specs) here. While in September the amount of Model X delivered was as simple as counting the number of cars that rolled out onto the stage during the launch presentation (six). However, for October, the game was “spot the unannounced/new Founder’s editions seen in the wild,” as no Signature Model S cars were delivered. In total we saw 2 new copies, and some VIN numbers that lead us to believe four had been delivered. The release of the first, and volume, “public” Model X SUVs (well, at least if you count special “signature” series Xs) happens in December if everything goes as expected (~week 3/4), so for November – we are back to the spotting and counting. This month’s high profile founder delivery went to Chamath Palihapitiya – friend of Tesla CEO Elon Musk, and of course multi-millionaire venture capitalist. In November, the sightings/confirmations again were rare, and we estimate five were delivered during the month. Also of interest: Tesla priced the Model X 70D in November from $80,000. The entry level X comes with 5 seats and a range of 220 miles, with a 0-60 time of 6 seconds (full details here). Tesla also opened orders to the public for the X, as the company is just now winding through releasing configuration/order screens for those who have reservations on file. Tesla says first deliveries of the 70D should start in mid to late 2016. The first (and widely anticipated) plug-in offering from Volvo to be offered in the US arrived late in August on a technical basis, selling 4 copies. That being said, we are pretty sure these 4 logged sales (as well as the single sale in October) was a result of US summer test drives being given to potential customers…and not actual ownership deliveries. By late November, actual plug-in Volvo’s were being delivered, but only 7 made their way out before the month closed. The Volvo XC90 T8 (details) plug-in is rated at 394 hp, and will get about 17 miles of EPA estimated range (via a 9.2 kWh battery), and is the first to offer a standard 240v/120v dual charging cord set. Pricing starts at $68,100 in the US. Chevrolet SPARK EV: Where are the 2016 Spark EVs? They had reportedly left South Korea in late August, yet they are still to clear customs and dealer lots. For November, GM continued to find older 2015 Spark EVs (somewhere), and sold a solid 166 copies. Previously in October, the Spark EV once again did relatively well in a limited rollout with 177 sold. For the first 11 months of 2015, 2,477 have been sold, which is already more than double than the total sold in 2014 (1,145). Even though there is still one month to go in 2015, we will give the little Chevy the “most improved sales” trophy a little early. What triggered all the sales of earlier in the year (and demand still today)? A MSRP price cut on the Spark EV to $25,995, and a new aggressive lease deal at $139 per month. We spoke to an Audi representative in October they said sales were just “some days off” from starting. Apparently they meat some weeks off, because we have seen no evidence the car has arriving to customers as of yet – but the A3 e-trons arrival does appear to be very close. Originally, the cars were scheduled by Audi as a week 43 arrival (October 19 through 26), so perhaps they have been in a QC or import hold a little longer than expected. While the Audi A3 e-tron is not the ‘first’ new plug-in release for the US this year (it is actually the 5th), it is the first major offering, as sales of the electric Audi are expected to close in on the 4-digit (1,000) club once fully available. Part of the reason for the high expectations for the A3 e-tron is the low price. $37,900 gets you the Audi badge, 8.8 kWh of battery – good for 22-odd miles of real world driving…and federal credit of $4,158, which is significant because this brings the e-tron package down to within $2,800 of the base MSRP of the A3. Through September, 26,972 petrol A3s have been sold in the US by Audi, up 90% from a year ago. The plug-in Fusion almost set a new high for the year in November, as 944 were sold. November was also a near-term high since the summer as 849 were sold in October and 808 in September. We expect next month to see the model crest the 4-digit mark for the first time as there is a healthy inventory on hand and December is the strongest selling month of the year for plug-ins. For the year, 8,692 Fusion Energis have now been sold; meaning the Ford would have to sell 1,308 copies next month to pass the 10,000 mark. Whoosh – is the sound of Prius PHV sales as the remaining inventory circles the drain. It is all over. See you in 2017. In November with no inventory left to sell, Toyota set a 45 month low with just 44 copies sold, down almost 90% from a year ago. Previously in October, just 91 Prius PHV were sold, which followed a dismal September of 216 sales. It is easy to spot the wind-down trend at play here. Despite a US consumer that would easy buy 800-1,200 copies a month, production of the current car ended in June and Toyota didn’t build any extra stock to sell. For the first 11 months of the year, 4,169 have been sold, which is off 67% from 2014 when 12,773 were moved through November. Again, we have to note – 2015 results are not a reflection on the demand, there just is no cars left to buy. Although a next generation Prius PHV is confirmed, delays in the ‘regular’ Prius have pushed the plug-in version’s introduction as far off as the second half of 2016 as a 2017 model car. This means we are in the midst of a ~14 month gap (with zero production) and there will be no newly produced cars to sell over that period. Our prediction, regardless of what the plug-in Prius sells to end out the year, there isn’t any left for November through all of 2016 – and even low volume cars like the Focus Electric are going to clean its ‘sales clock’ next year – which is a shame, because the demand to still move 1,000 a month has never waned with the US public, only Toyota’s desire to sell them. When it comes to plug-in luxury, there is a new boss in town! Having just arrived in late July, the Mercedes S550 presents a level of refinement previously unseen in the EV segment for the US. For November, 21 S550s were sold, which was just off the highs from October when 25 were moved. We didn’t expect to see the plug-in Sonata arrive in the US until the very last couple weeks of the year, yet there it was at a dealership we passed by in late November. There still is barely any depth to the inventory, but good news nonetheless. Currently Hyundai has not decided whether not to break out plug-in hybrid sales, so until then we will have to estimate the number as best we can from inventory levels and rebate data as it is available. For November, we estimate 15 Sonata PHEVs were delivered. When the dieselgate scandal hit, it raised a lot of questions for the future of the VW Group. Would diesels be wound down? Would the EV program be pulled back? How would consumer sales be affected. For EVs, VW’s emission problems were a blessing in disguise. VW quickly, and more closely, embraced the technology during the month…and put lots of deep discounts on all its models to try and prop up sales/offset the bad press. In November, VW sold a solid 472 copies of its all-electric Golf, which comes just after moving 596 in September. Looking at the strong European sales, and the amount of EVs VW is selling from such a limited inventory in the US, the company has served notice that they won’t be relegated to the small volume compliance category of EV sales. Adding to the demand in the US, the company introduced a new, less expensive SE trim level which is arriving now. The new trim level brings the base starting price of the e-Golf down to $29,815. How high could sales go? Still fairly hard to say without a deeper inventory allocation, but sometime hitting 4 digits doesn’t seem hard to fathom today – at least when (and if) inventory levels get high enough to support that many sales. Heading into December, national inventory of the e-Golf sat at just north of 500 copies. Like the Fusion Energi, the C-Max Energi finds itself rooted in a consistent sales level. For November, 639 copies were sold, which is more or less identical for the past the past 7 months. Previously in October 695 were sold. What will the range bound C-Max Energi sell next month? If we had to guess – about 700 units! But given that next month is December, we still might yet see the model pass the 800 level for the first time in 2015. So far though the first 11 months of 2015, 7,012 C-Max Energis have been sold, which is still lagging the pace from 2014 when Ford sold 8,433 for the entire year. In 2013, the high water mark for the C-Max Energi was set in October as 1,092 plug-ins sold. It still would not surprise us to see the C-Max Energi live only as long as it takes to introduce a Focus Energi. Hurting B-Class ED sales late in October/November was a “stop sale” order, while a new update was patched to all cars (sold or not) to avoid a serious engine shutdown issue (details). Despite the recent hiccup, 2015 overall continues to be a bit of a let down in our minds for the Mercedes B-Class Electric Drive – even in September just 147 copies were sold, after selling 173 in August. October marks the 7th consecutive month of declining sales for the EV. The bad news for sales so far into 2015, is that the actual 2015 model year arrived very late, and now we are waiting on the 2016 model year season…none of which have arrived yet. Total lose-lose for B-Class ED sales so far in 2015. Can the electric B-Class ultimately compete with natural rival BMW (with the i3)? It still seems highly unlikely…at least for this generation. During September we also heard news (via a normally very reliable source) that Mercedes was about to get serious with the B-Class ED, giving it an estimated 300 mile (NEDC) ~225 mile EPA range upgrade in next generation trim, while also removing the Tesla drivetrain/components to bring costs down. It seems as though the B-Class ED may be one of the “ones to watch” heading into the 2nd generation wars in a couple year’s time. Like its stable-mate i3, the BMW i8 stubbed its toe a bit in November, selling just 118 cars. This marks the four month in a row sales have dropped since it set an all-time high back in July with 217 cars sold. Previously in October, 149 i8s were sold – which was still a decent showing the premium plug-in. For 2015, BMW has now sold 1,609 i8s. A very respectable amount given the 6-figure price-point. Truthfully, “consistency” has been the word for BMW i8 sales, as sales have remained steady since its launch. So, overall, good results so far in 2015, as it has only taken about 25 days for a car landed in the US to find a home. November continued to see national i8 inventories expand, and by the time the first of December came around more than 600 were in stock – an all-time high. Meaning that we are now about to see the true demand level for the plug-in supercar, for the first time. For November, 33 were delivered – which seems to be the “new normal” for the plug-in Porsche. Last month 28 were sold, with 41 being tallied in October. The plug-in Porsche Cayenne set a new 2015, and all-time high for sales a month ago during October selling 125 copies – a result it almost matched in November. This month 121 plug-in Cayenne’s were sold. Before the last two months, the previous high for the brand was the 105 moved in May of this year, so the sales are slowly trending in the right direction. The S e-Hybrid has consistently outsold its Panamera plug-in cousin by more than a 2-to-1 ratio. We had expected this summer, that as more inventory of the Cayenne plug-in arrived, more sales to be realized by Porsche. Unfortunately, the old “allocation chestnut” card has seemingly been played by Porsche and/or its dealers and national inventories have hovered between 200-250 for quite some time now. UPDATE: In the past (2014), InsideEVs had used data from a 3rd party data collection site, however upon inspection of those numbers, they were found to be materially short from rebates claimed on the car. Historical sales have since been updated to more accurately reflect the 500es true sales, and we will continue to report an estimated number based on more accurate data points. After 4 consecutive months of strong, improving sales -capped off by an estimated 635 copies being sold in September, things cooled off a touch while waiting on some volume of 2016 inventory. For November, we estimate 390 all-electric Fiats were sold, but we should note the sales volume was very back-end loaded as a very large quantity of new 2016 models arrived mid-month to dealer lots. We expect a fairly decent result from the 500e going into peak December season next month. The all-time high water mark was an estimated 1,310 estimated sales of the 500e in March. And despite the low numbers, yes – the Mitsubishi i-MiEV is still on sale in the US…as an ongoing product. In wider news: 2016s are here! 2016s are here! Unfortunately not that many. A quick check around the US by ourselves at November’s end only returned about 60, 2016 copies. Long story short, sales are terrible, dealers don’t really want them – they want the new Outlander PHEV, but have to wait until April/May of next year to get serious about plug-ins. For its part, Mitsu says it will continue to sell cars the way it always has, which is by relying on customers coming into dealerships and practically demanding a car. The first plug-in SUV from BMW arrived in October for the US, selling 117 copies. BMW followed up a strong debut month by selling a further 167 plug-in X5s in November. Looking at the potential for future sales, more than 700 inventory copies have already arrived in the US for the heading in December, so we expect some decent numbers going forward. Welcome back to the smart Electric! After a 2014 that saw the smart ED regularly sell 200-300 copies a month, the littlest EV had been having some trouble just maintaining 3 digits of late. That all changed in November as 178 copies were sold – far better than the 75 moved in October and 94 the month before that. In fact, November’s result was the best so far in 2015, although far short of the all-time record set in December of 2014 when 351 were sold. The smart EV is now technically available nationally, although there isn’t inventory yet spread out across the country to make physical sales everywhere – perhaps a reality of the end of the 2015 model year. On the plus side, the 2016s have now started to arrive from Europe, although not in any great volume as of yet. The smart ED is the first plug-in for America to be offered with a “battery rental” option, which brings the cost of the Smart ED down to $19,990, but adds a $80 month battery rental payment, as well as includes a wider (and longer) battery warranty. Check out all the specs, options and pricing here. The 2-seat Smart electric car gets 68 miles of range from a 17.6 kWh battery. Ford broke its 9-month string of selling “100 and something” Focus Electrics each month…but not in a good way. For November, and despite a new ad spot that has been running on national TV, just 93 copies were sold. What can we tell you about the malaise Ford finds itself in with the Focus Electric? In November, just 83 Kia Soul EVs were moved – its worst result since July. Last month in October, 109 were sold. The three-digit result in October was actually Kia’s best result of the year, but we have to temper our excitement for the achievement , as quite frankly, it should be doing much, much better. Honda Accord Plug-In: For November, Honda “got back on track” with the Accord PHV…and by that we mean they sold a copy. As in one. For the two month’s prior, none were sold. Which means that October and September’s results were down a massive infinity percent from the 2 cars from August.A grand total to 63 Accords PHVs have moved to date. Basically, there is absolutely no demand for the extended range Accord. By the way, did you know Honda had a plug-in hybrid to sell? Few seem to. In fact, it has been on sale now for 33 months – debuting in January of 2013. UPDATE (July): Honda has finally put the Accord PHV out to pasture! Yes the 10th oldest plug-in brand in America (and arguably the least successful) is done. Honda has said there will be no future Accord PHV model, as the company will now focus on making both a fully electric and PHEV car that are more commercially viable (as opposed to being more of compliance plays). After selling no copies in October, Porsche delivered 2 during November, with the 2015 high coming in the warm summer month of July – 40 units delivered then. 65 Comments on "November 2015 Plug-In Electric Vehicle Sales Report Card"
Hey Jay, just curious… I thought that all the vehicles listed here were by order of when first units were produced. The Model X is now tucked right under the Model S though, which can be convenient sorting by manufacturer. Will the page be reorganized by manufacturer soon instead of by release date? Hehe, there is no science to how the are sorted. A year or so ago it was alphabetical, but at some point it morphed into the more popular models (Volt, LEAF, Model, i3 etc.) at the top of the recap when the list became unmanageably long, lol. They should be classified by the number of kWh they provide. Jay, I’m asking again because I consider Hybrids as a brake toward a cleaner future. Actually car makers could sell a lot of good BEVs anytime they want to, but they don’t want to. They are multiplying hybrids of all kinds only for the profit they make and to comply with BIG OIL’s ongoing pressures. There is no more time for half solutions if we want to dodge a planetary cataclysm. So sorting the plug-ins, by the kWh or AER they provide would be a mild incentive to car makers and a more realistic view of the pace of electrification of transportation, and the urgent abandon of fossil fuels. Saying it’s a bridge or that people are insecure toward EVs is disinformant BS from the Big Oil’s P.R. manipulation schemes to delay again the demise of this archaic poisonous technology. Or at least, make it a separate article with the nice charts you can make, giving us a clearer view with the total kWh sold by company or so..
And by putting all PHEVs in the same lot, you play the manufacturer’s greenwashing game. Rexx, the compare EVs option at the top of the page shows each plugin by the kWh of battery capacity. So you get your list. Can you also organize the table according to number of spokes in the wheels? I only care about cars with 7-spokes or more. It’s going to have to be an eyewateringly good December to beat last years sales total for the year ? It will probably be off by about ~15k units for the year. I was thinking between 5-8k depending on Tesla numbers ? If Nissan, GM, and Tesla can get it in gear and get the new models to customers it should not bad. I have my doubts though…. When all of November is accounted for, it should bring the YTD total to ~103k, or 20k short with a month to go. So the 2015 numbers will certainly be less than 10k off from the 2014 numbers. So the question is, will the Volt pull the U.S. EV sales title back from the Leaf in December, or January? The combination of the 2016 Volt release and the end of the Georgia BEV tax credits is a double bodyblow. That will be interesting. I can be pretty critical of GM but the new Volt is looking good, if you can buy it in your state. 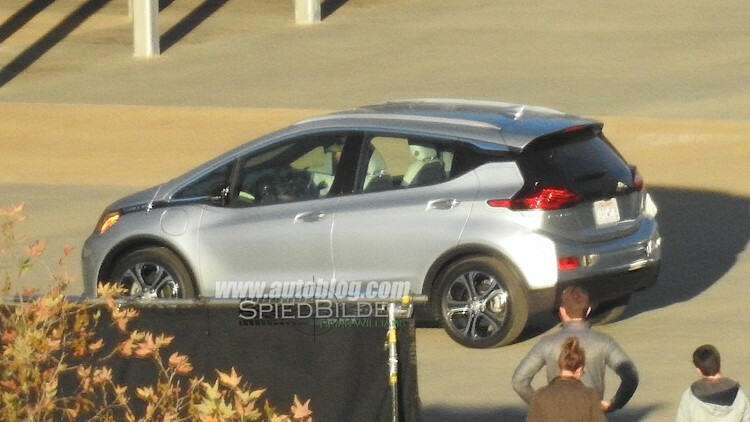 And the spy photos of the Bolt look good as well. So here is my bet. GM bungles the intro of the 2017MY Volt and most people can’t get it until June of 2016. And the base Bolt MSRP is $39,900, plus they release it in December of 2016 just in time for all the car mags to review it in freezing weather and then pan it for only having 160 miles of real world AER. And Tesla did not fall under $200 per share by the end of November as predicted by one our resident shorts. what you said, for good or ill, or whether its right or wrong, is always there. I hope Model S will break the 4000 mark in December. Would that be a first? I believe their sales numbers now include selling used Teslas. No, they do not. Tesla accounts for used separately. For some EV that doesn’t show many sales, I have to wonder if it’s due to lack of demand or lack of supply. ELR is low, but are they making them available? Another is SparkEV; where are they selling them? It’s not in SoCal as it’s been sold out for a while. What would be interesting is dealer stock at the end of the month along with sales figures to gauge the demand. Not sure if such is available. Spy shots of the new Bolt on Green Car Reports and Yahoo news to get you all excited! Well, I guess we are on our way to the first YoY sales drop of PEVs in the US. Looks like setting up at ces for a photo shoot? Should have said to buy, instead of own. The biggest expense was license, insurance, and property tax, which are costs to own, not included above. Thanks for posting these. It is interesting how much Volt design “DNA” is in the Bolt. In fact, it reminds me more of Gen 1 Volt than Gen 2. What?? The XL1 is awesome – a very functional design. What is not to like? My point, exactly! Unless the Tesla Model 3 is a much more radical design than the Buick look-alike, Model S, I’m not interested. People are hard to please. I think the Model S is the best looking sedan on the road today…well, the exterior anyway. The interior is certainly unique but I’m not a huge fan of digital everything. Physical knobs and radial gauges, used in conjunction with and as a complement to digital screens, are a superior user experience. Don’t you think that the prototype Bolt was a better looking car? Wasn’t perfect, but was unique and had clean lines. This looks like a mixture of Gen 1 Volt, new Nissan design language and Ford Focus rear lights. From the first glance however, it looks like another cheap GM car. No attention to details, especially the front part looks bad. I am surprised after seeing gen 2 Volt, which I think is really nice, that this is what they came up with. If I didn’t know this was electric, I would think it’s the cheapest car in the GM line-up. Absolutely not. The “giant chin” look of the front was goofy at best and the rest of the car was uninspired wrapped in flashy paint. What it actually is may not win any awards on the concourse, but it’s what it needs to be: a modern styled car that the masses will not find distasteful. Re ugly and cheap, I can tolerate these in combination. If the choice is a really good looking car for $5k more I’ll take the ugly one. Besides, this looks better than a leaf. Chevy is always a “value brand” for the common people. Obviously, car looks are very subjective. I was very disappointed seeing a Tesla S on the road. Unless you were an EV fan, you couldn’t find it in a parking lot…totally conventional styling. The X is just a big, ugly, crossover box. LOL. I think GM has hit the target perfectly. People buy a lot of Honda Fit, Nissan Versa just fine since they look “mainstream”. Chevy brands will never be able to “upsell” to luxury status, so no need to Pretend. They want to make a van and washed it too hot? 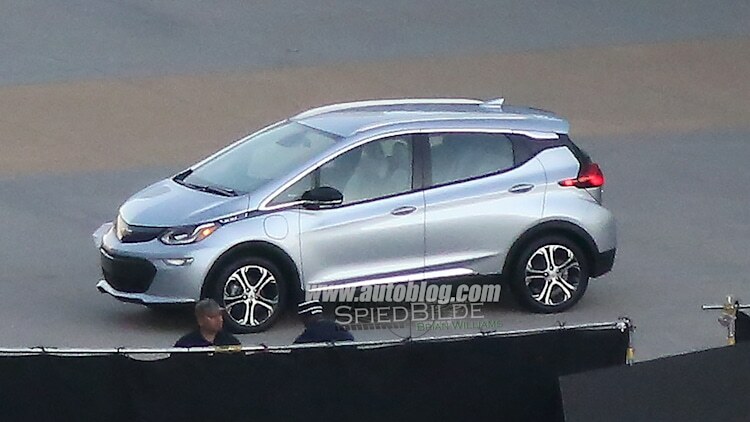 The Bolt looks like a sexier version of the i3 morphed with a Honda Fit. Not bad at all. Is that a new Model S delivery record? It’s an impressive achievement. One aspect of the Tesla production and demand story I can’t quite figure out is the production rate. We’re told that in 2014 they shut the factory down to make improvements that allow them to expand production from 800 cars per week to 1,000. Sounds good. We’re told they have a huge backlog of orders. That sounds good too. Why then do we look at 2015 deliveries are the first three quarters so low compared with their 1,000 per week production capacity? Better question is this – we know they have to deliver 17,000 cars to make the lower delivery guidance for 2015 – this implies they in fact have a higher than 1,000 per week capacity and that begs the question – if demand is so high why weren’t they delivering more cars all year? Which means, they’re cannibalizing future sales by selling all their demo cars. Expect Q1 or Q2 to a be a drop, since customers will be waiting for demo cars to be available for test driving and finalizing orders. Right, sell down inventory. Makes sense. That has to be it because Q4 also has a couple of prominent holiday’s that I am guessing impact the production a bit. In the past, Tesla has kept manufacturing going through the end of the year, and given the factory a week off in January. No idea if that will be true this year. Hehe, yeah neck and neck for last place. I project the XC90 will be tougher competition for Model X than any Tesla investor is assuming. The Volvo has a sweet interior, is massively cheaper, can have conventional roof racks mounted, and has conventional ICE range. EV fanatics who can afford it will buy the Model X, without a doubt, and won’t even look at anything else. But outside of that a lot of people are more pragmatic. XC90 at 68K vs Model X 80K is only 12K different, not “massively cheaper”. If you’re into luxury, brand name matters. Otherwise, Rolex would be making Casio-like watches. TTTT – Thanks to Tesla for giving us a great Thanksgiving Treat with the sale of 3,200 Model-S. This figure should be correct since WSJ had a figure of 3,000 which is very close. Seems this is still Tesla’s #2 sales mark with Dec-2014 being the high with 3,500 sales. Hope Tesla will soon breach their previous high. Selling 3,200 units in the face of $2 gas price is a big achievement. With most of the players counted, the 10,000 mark for EV+Plugin will be missed sadly. But in China, EV+Plugin share in their total sale has exceeded 1% in Oct with sales of 22,000 + on total vehicle sale of 2 million. So China is way ahead of everyone (US, Europe, Japan). Americans are very market responsive. With the gas prices being so low, people are moving away from this segment. If Tesla can sell 3,200 units of a car that costs $80,000 then cars that cost $35,000 like Leaf and Volt should easily match that #. Hoping for GM to accelerate the production and supply of Volt, otherwise customers could just go to Leaf. Still many cars in this list are compliance cars that are sold in either fewer states or just to few dealers. Toyota sold 23 copies of their Mirai FCV in its 2nd month of sale. This shows that FCVs will be low volume seller. Some people compared this vehicle with Tesla Model-S. Soon Model-X will overtake Mirai in sales. If you go by cars delivered (in second month) it is a very bad metric. For example, tesla delivered 4 cars of the Model X in the second month of “availability”. But i think Model X deliveries in one year will be quite different from Mirai deliveries in one year. It would appear that If Tesla exceeded 3034 U.S. deliveries (confirmed vs estimate) in Nov, they’ve exceeded both Nissan (LEAF, 1054) and Chevy (Volt, 1980) combined. A new first?! Great observation! However is that considered good? Or how about that despite having over 20 different models for sale (here and there) the Model S constituted a third of all plugin sales last month? Ok, it could have been worse, it could have been Tesla outselling the whole automotive industry combined. So far, I’m really happy with my Mitsubishi “i”. It’s not a bad car, although the shape is a bit quirky. The sales in NL aren’t that big either, to the degree that they are not even listed in the top 10 anymore. At 10k euro 2nd hand it still isn’t cheap, but it’s not exactly terrible either. Still the cheapest way to get from A to B dry and not have to go with public transport. Tesla sold more this month. Almost all the others sold fewer. The annual total sales will be about 10% down on last year, and my bet is that next year the annual total will be even lower. That this is happening as more and more models are fielded by the manufacturers is a very bad sign indeed. It means a diminishing market is shared by more competitors, meaning poorer shares all round. Combined annual total in 2016 of the Tesla Model S, the Tesla Model X, the Chevrolet Volt, and the Nissan Leaf will be more than 100,000.
Who knows what the future holds. The evidence is that total sales of ALL models will have trouble reaching 100,000, however. Conventional ICE cars are more convenient, perform better, and cost less than battery cars. Low fuel prices have eroded the low cost running cost of EVs too, and that’s their only real advantage.